The Hull firefighter who was driving the SUV immediately began performing CPR on the victim. A pedestrian died after being struck by an SUV Monday night in Weymouth, Massachusetts. Police say the fatal crash happened around 5:55 p.m. in the area of 715 Bridge Street. The driver, who is a Hull firefighter, remained on scene and is cooperating with investigators. Hull's fire chief confirmed that the driver is a firefighter/paramedic and immediately started performing CPR on the victim. 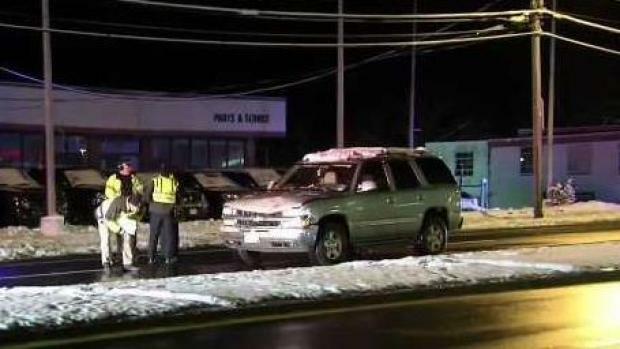 The fatal crash happened Monday night in Weymouth, Mass. The firefighter was taken to a local hospital for evaluation. The fire chief also says that the department's thoughts and prayers are with the victim's family. The victim is not being identified pending notification of family.